Fats and OilsSince the majority of calories on a ketogenic diet will come from dietary fats, choices should be made with digestive tolerance in mind. Most people cannot tolerate eating a large amount of vegetable oil, mayonnaise or even olive oil over time. And this is a good thing, since vegetable oils are high in polyunsaturated Omega-6 fatty acids. The Omega-6 fatty acids (found in nut oils, margarine, soybean oil, sunflower oil, safflower oil, corn oil, and canola oil) trigger inflammation within the body and they will make you sick if they are your only fat source. In addition, cooking with them is not recommended. Most nuts (with the exceptions of macadamias and walnuts) are high in Omega 6 fatty acids as well, so go easy on them). However, there are polyunsaturated fats which are essential and these are the Omega 6 and Omega 3 fats. Your intake of Omega 6 and Omega 3 types should be balanced, and you only need about a teaspoon a day. Eating wild salmon, tuna and shellfish will provide balancing Omega 3 fatty acids and are important part of a low carb food list. A few nuts or some mayonnaise will provide the Omega 6. If you don’t like seafood, then consider taking small amounts of a fish or krill oil supplement for Omega 3s. Saturated and monounsaturated fats such as butter, macadamia nuts, coconut oil, avocado and egg yolks are tolerated more easily by most people, and since they are more chemically stable, they are less inflammatory. Fats and oils can be combined in sauces, dressings, and other additions to basic meals. Over time, it will become a habit to add a source of fat to each meal. Avoid hydrogenated fats such as margarine to minimize trans fats intake. If you use vegetable oils (olive, canola, sunflower, safflower, soybean, flaxseed and sesame oils) choose “cold pressed.” Keep cold pressed oils like almond and flaxseed refrigerated to avoid rancidity. Avoid heating vegetable oils. Use clean non-hydrogenated lard, beef tallow, coconut oil, ghee and olive oil for frying, since they have high smoke points. Most non-starchy vegetables are low in carbs. Choose organic vegetables or grow your own to avoid pesticide residues. Avoid the starchy vegetables such as corn, peas, potatoes, sweet potatoes, and most winter squash as they are much higher in carbs. Limit sweeter vegetables such as tomatoes, carrots, peppers, and summer squashes. 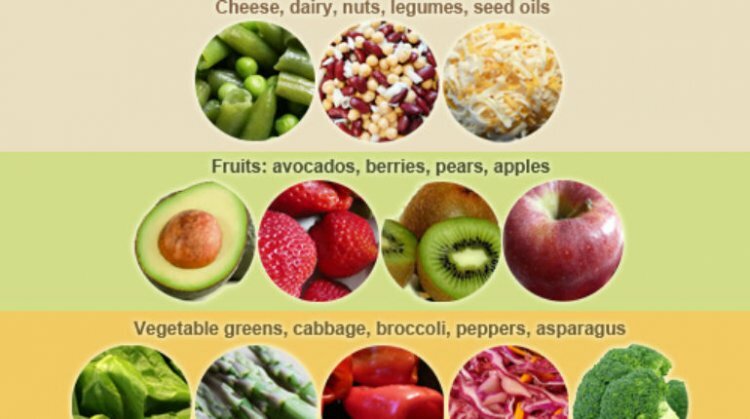 This list is by no means comprehensive, so if there is a green vegetable you like that is not on this low carb food list, feel free to include it. * Limit amounts of these vegetables, as they are higher in carbs. Raw milk products are preferable; choose organic if raw products are not available. Be aware that dairy proteins (whey and casein) are insulinogenic (meaning they cause an insulin spike) in the body, so if you having trouble losing weight or getting into ketosis, limit amounts or avoid. I also try to avoid products that have added whey protein because whey adds to the insulin spike. Nuts and seeds are best soaked and roasted to remove anti-nutrients. They are also very high in calories and higher in carbs per serving. It’s very easy to eat a handful of nuts and not realize how much carb is included. If you are having trouble getting into ketosis or losing weight, reduce or avoid nuts. Nut flours, such as almond flour. I include this because a low carb food list shouldn’t completely exclude baking. Almond flour is a great flour substitute. See my recipe page for ideas on how to use it with the foods on this low carb food list. Peanuts are actually legumes and are higher in protein and are also high in Omega 6 fats, so limit amounts and include protein grams in daily totals. Seeds (pumpkin, sunflower, sesame, etc.. ) are also very high in Omega 6 fats, limit amounts. Most nuts are high in Omega 6 fats, which increase inflammation in the body, so don’t rely on nuts as your main protein source. I have found that eating too many nuts over several days makes me feel stiff and sore and ruins my mood. I attribute this to the Omega 6 fats. Your mileage may vary. Avoiding sweetened foods in general will help “reset” the taste buds. However, if there is a desire for something sweet, these are the recommended choices for sweeteners. Note that the powdered forms of most artificial sweeteners usually have maltodextrin, dextrose or some other sugar added, so liquid products are preferred. *Some readers have objected to my recommending Splenda. If you have concerns about this, please note that I have done research in the medical literature and I have looked at the studies which have been offered on sucralose (Splenda). I have yet to find a gold standard, clinically controlled human study which shows conclusively that sucralose causes human health issues. I don’t like to propagate misinformation so I wait until there are definitive studies of negative effects before I condemn a product. In my opinion, eating sugar, honey and other nutritive sweeteners has negative blood sugar effects which far surpass those which might be associated with using a small amount of Splenda, or any other non-nutritive sweetener. Having said that, I will also say that I offer information on this low carb food list about Splenda, just as I do on the other sugar substitutes, because everyone is different. Some people are not bothered by Splenda, while others are. It’s the same for sugar alcohols and other sweeteners such as insulin and chicory root. I try to offer both pros and cons for each sweetener, with the idea that readers will use the product that suits them best. See my artificial sweeteners page for more information. Spices do have carbs, so be sure to count them if they are added to meals made using this low carb food list. Commercial spice mixes like steak seasoning usually have added sugar. Sea salt is preferred over commercial salt, which is usually cut with some form of powdered dextrose. These are great resources for how to prepare the items on this low carb food list. Your favorite cookbook – Most whole food, main meal recipes which include the foods on this low carb food list can be adapted to a low carb, ketogenic version.